Porsche of Peoria is your source for N Specification tires that are specifically designed to meet the stringent performance and durability standards set by Porsche. In collaboration with Michelin, Pirelli, Continental, Bridgestone and several other top tire brands, Porsche has developed a tire that will surpass all of your performance expectations because they were designed with you and your Porsche in mind. 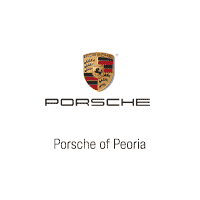 Your Porsche was made to perform and Porsche of Peoria will help you keep it that way! Porsche designs and manufacturers some of the highest performance vehicles in the world. Because of the essential role that tires play in vehicle performance, Porsche has integrated tires in the design process throughout vehicle development. Porsche original equipment tires must successfully pass the tire company’s laboratory tests, road tests and race track evaluations to confirm that prototype tires meet Porsche’s noise, hydroplaning, handling and high-speed durability requirements. Only upon successful completion of these tests, will tires be released for production. Production tires that have passed all of the tests and received Porsche’s engineering department’s release can be branded with an N-specification. The N-specification brandings include: N-0 (N-zero), N-1, N-2, N-3, N-4, N-5 or N-6. These markings on a tire’s sidewall clearly and permanently identify them as approved by Porsche for their vehicles. The N-0 marking is assigned to the first approved version of a tire design. As that design is refined externally or internally, the later significant evolutions will result in a new generation of the tire to be branded with N-1, N-2, N-3, etc., in succession. When a completely new tire design is approved, it receives the N-0 branding and the succession begins again. Use only tire types tested by Porsche. Only tires with the same manufacturer and with the same specification code (e.g. “N0”, “N1” …) should be mounted on the vehicle. Tires should be replaced no less than in pairs on one axle at a time. Only tires of the same tire make and type must be used. Since many Porsche vehicles are fitted with different sized tires on their front and rear axles, this requires matching the tire brand, tire name and N-specification front to rear. While the tire manufacturers may also build other tires featuring the same name, size and speed rating as the N-specification tires for non-Porsche applications, these tires may not be branded with the Porsche N-specification because they do not share the same internal construction and/or tread compound ingredients as the N-specification tires. If a vehicle was originally delivered with N-specification tires that have been discontinued and are no longer available, it is recommended to replace all four tires to a higher numeric N-specification design appropriate for that vehicle. In case of tire damage such as cuts, punctures, cracks or sidewall bulges that cause a single tire to be replaced for safety reasons, the remaining matching tire on that axle must not exceed 30 percent wear. If the remaining tire has more than 30 percent wear from new, it should also be replaced. This rule applies to all four tires on all wheel drive vehicles. Handling inconsistencies may result if this is not done. Initially, new tires do not offer their full traction. Drivers should therefore drive at moderate speeds during the first 60-100 miles (100-200km). If new tires are installed on only one axle, a noticeable change in handling occurs due to the different tread depth of the other tires. This happens especially if only rear tires are replaced. However, this condition disappears as new tires are broken in. Drivers should adjust their driving style accordingly. Additionally, even though only the world’s highest performance tires can earn the Porsche N-Spec approval, eventually all tires will either wear out or age out. The chemical additives that make rubber elastic lose their effectiveness in the course of time and the rubber becomes brittle and cracks. Considering the performance capabilities of a Porsche, under no circumstances should tires older than 6 years be used. Porsche dealers can recommend the most current replacement tire options for your vehicle. How is a Tire Selected for a Porsche? The tires selected for a Porsche are chosen based on the model (sports car or SUV)‚ and the job the tires are asked to do. The 997, 996, Boxster and Cayman S are examples of the world’s finest exotic performance cars with some of the same capabilities found in previous generations of racecars. For these vehicles Porsche selects Maximum Ultra High Performance Summer tires from the world’s leading tire manufacturers: Bridgestone, Continental, Michelin, Pirelli and Yokohama. And since Cayenne puts the sport in sport utility vehicle, emphasis is placed on high limits of performance balanced with the utility demanded by the Cayenne owner. Pirelli Scorpion A/T All-Terrain tires are chosen for highway use in all weather conditions, including snow and cold climates, as well as for off-road use. Continental 4X4 Contact and Pirelli Scorpion Zero tires are designed for highway use in all weather conditions including snow and cold climates. Bridgestone Turanza tires target a balance of performance and ride comfort for highway summer conditions. Continental 4X4 SportContact, Michelin 4×4 Diamaris, and Pirelli PZero Rosso tires arechosen for sports car-like handling in both wet and dry summer conditions.